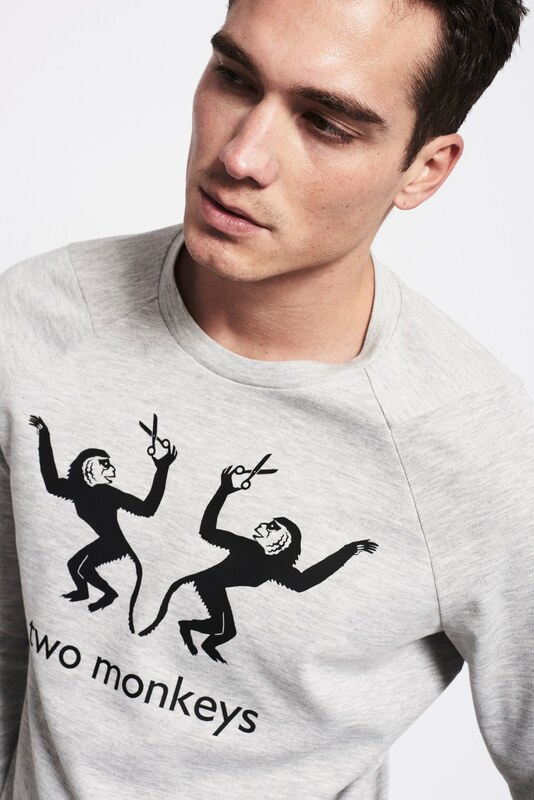 Sweatshirt two monkeys | Harm Jopp Jerseys. 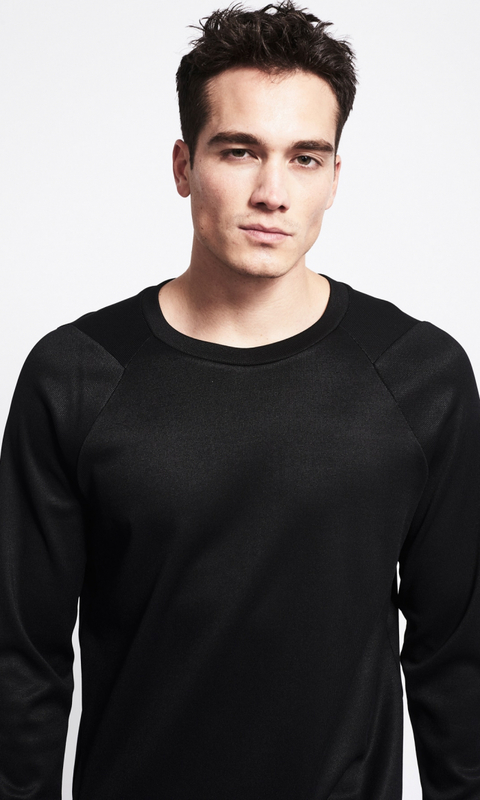 Hellgraues Viskose-Sweatshirt in griffiger Qualität. Raffinierte Schnittdetails beim den Ärmel. 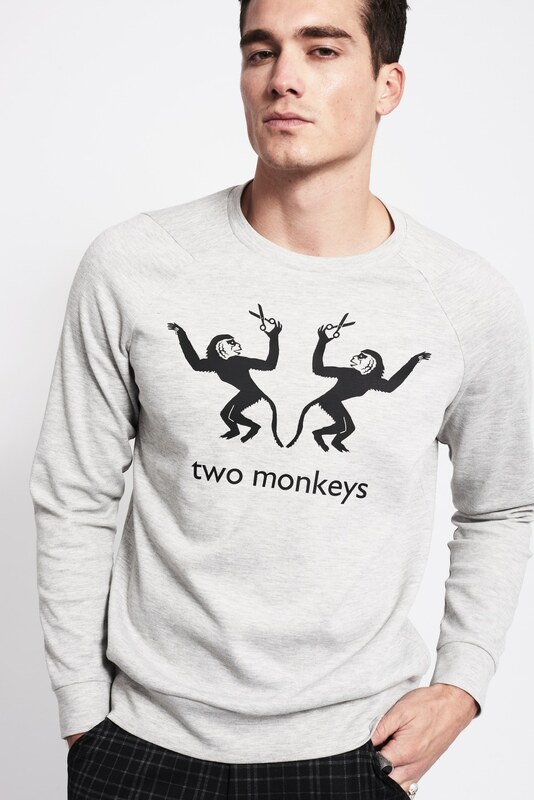 Cooles Logo – meet the two fashion monkeys.